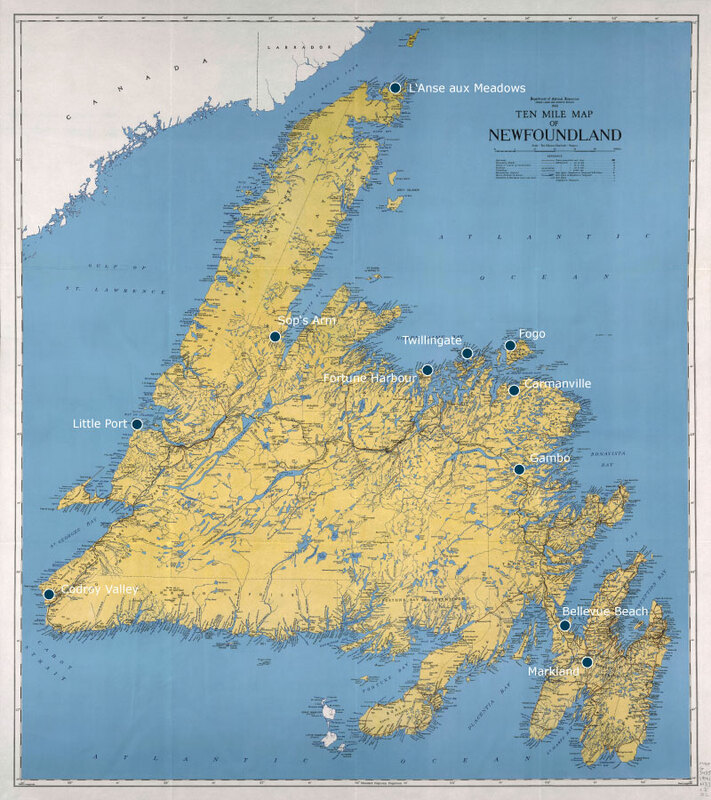 The map shows places on the island of Newfoundland related to Vinland, by archaeological facts, research-based theories of local residents or foreign enthusiasts alike, the fiction of filmmakers, or my own investigative phantasy. Some of the places I had already identified before my field studies on site, based on literature research and earlier visits to Newfoundland; to others I was directed by people I met during my road trips over the island; others yet I found by tracing promising place names. My approach was to visit these places without a prior schedule or appointment and with an open mind so that my intentions would not, or only minimally, figure as a bias. Below, the stories I came across at those Vinland Spots are told in text and images. They reflect the large variety of Vinland conceptions and perceptions to be found across Newfoundland. Click on images to enlarge. PDF opens in new window/tab.